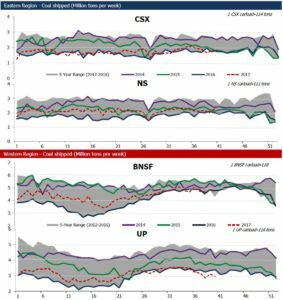 EVA’s Coal Transportation Report is a weekly report providing the latest data, commentary, and insight into the domestic transportation of coal via rail, river, and lake. The report presents coal transportation data by rail carrier, great lake port, and aggregate river traffic. 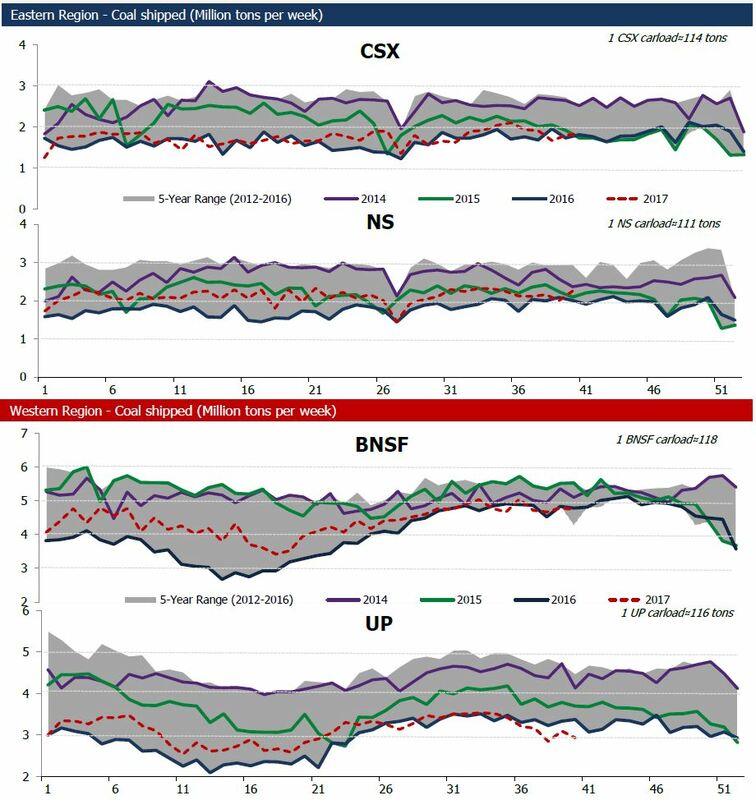 We track the total number of coal railcars loaded and the total number of tons of coal loaded each week for each major Class 1 and non-Class 1 rail carrier. 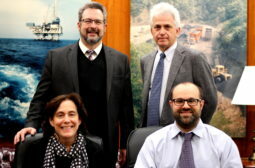 We also compile data on the latest coal and coke shipments on U.S. waterways and the latest monthly coal shipments on the Great Lakes.